A wing of the renovated office block. The station is better known as a leading center for plantain and banana research in Africa. It was established in 1991, but had to be shut down in 2008 due to security challenges. 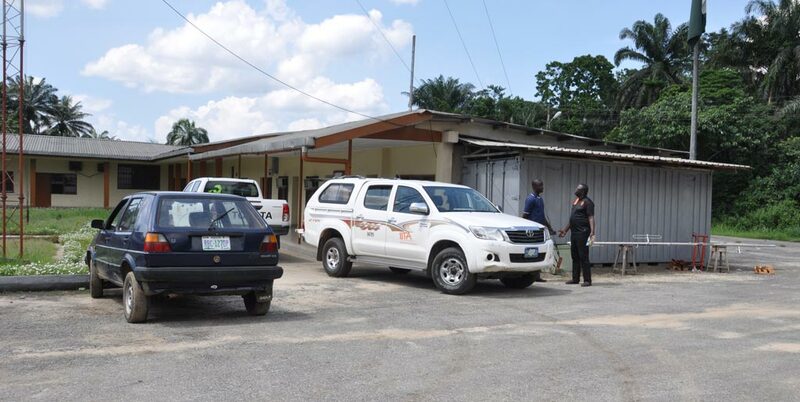 Since 2016, from funds received from the African Development Bank through the Agricultural Transformation Agenda Support Program Phase 1 (ATASP-1), IITA began renovation of the dilapidated infrastructure and will officially relaunch the Station this year. The Onne station in Rivers State is in the high rainfall ecology of Nigeria. It has mainly served as a benchmark site for banana research, and cassava, yam, maize, rice, and livestock germplasm development in the past. The station still has the largest collection of Irvingia in conservation within its 100-ha campus. The research center is almost 75% renovated and has started to receive many visitors from top government agencies from Nigeria, scientists, host communities, and international donor agencies. 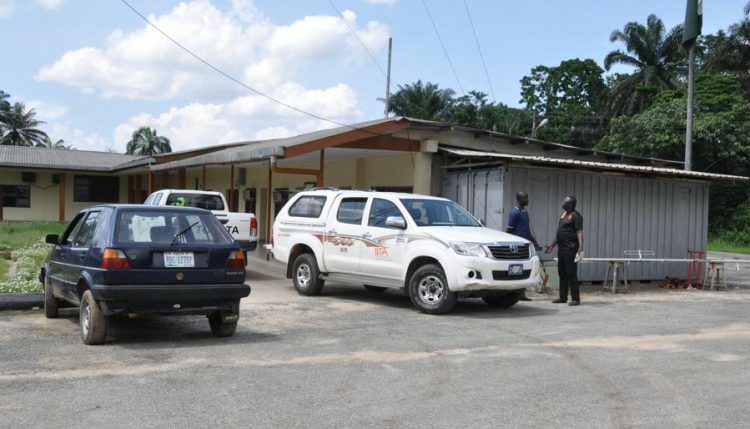 Currently, the Onne station hosts the ATASP-1 project, USAID-funded Banana program, and the IITA Youth Agripreneurs, who have taken advantage of the area to develop new agribusiness enterprises in poultry, catfish, and micropropagation of plantain. The center will also serve as an incubation center for young people. A key facility being revived is the tissue culture lab which will enhance the capacity of the station to produce large amounts of plantlets and offer opportunities to graduate students and the private sector involved in commercialization. The IITA Station in Onne will help transform the agricultural sector through training and innovative research programs that will impact lives in Nigeria. It plans to achieve this by seeking and reestablishing partnerships with government, private agencies, national and international organizations, NGOs, and farmers’ organizations. The station is headed by Richardson Okechukwu.